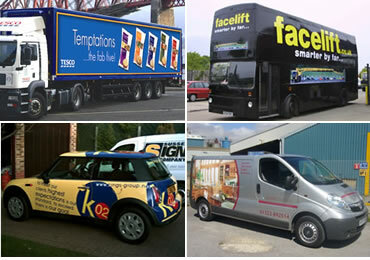 Your car, truck, bus, van or your entire fleet can be advertising for you at all hours of the day and night. During rush hour, in the parking lot or in a driveway, vehicle graphics are a smart advertising investment. According to the American Trucking Association the average delivery truck makes 16 million visual impressions in a single year. Let Read&Co. vehicle graphics turn your vehicle into a rolling billboard, building awareness for your company with every trip. For more information about the ingredients for successful vehicle graphics construction please contact us at sales@readinkjet.com or call 800-564-7323.